The World Chess Championship Match 1972 The chess match of the century has finally taken place and chess masters throughout the world have already agreed that some of the games are among the greatest that have ever been played. Numerous books will be published over the next few years in which these games will be analyzed, but there are several features that will make this book stand apart from all the others: The author, Svetozar Gligoric, is one of the greatest grandmasters in the world and has played both Fischer and Spassky. (This obviously gives him much greater insight into the psychology behind the moves and the choices of openings.) The author was at the scene not only to record and analyze the chess moves but was there to describe the action behind the scenes, away from the board, in his capacity as journalist for two leading Yugoslavian newspapers. lt was written day by day as the match took place and while all the fascinating details of the struggle were fresh in the author's mind. 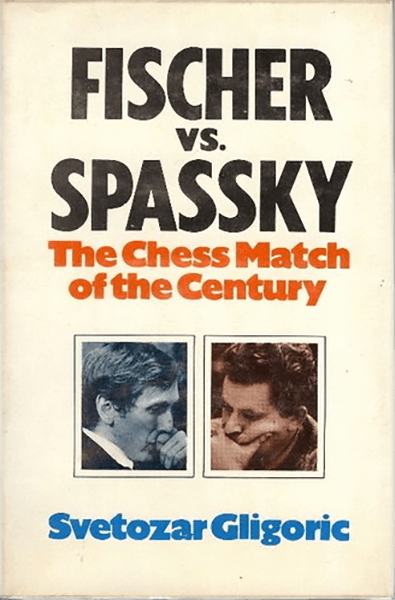 As a result, Fischer vs. Spassky enables the average chess player not only to grasp the meaning and purpose of the moves, but also to have a full appreciation of the excitement and beauty of this historic battle. Although the games were not allowed to be televised. this book is the closest one can come to experiencing a live telecast of the titanic confrontation, with Gligoric, journalist and great master, at one's elbow, every moment.